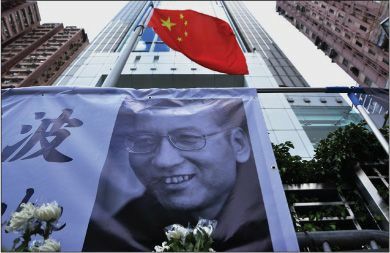 China has earned a grim place in history with its mistreatment of Nobel Peace Prize laureate Liu Xiaobo, said The Globe and Mail (Canada) in an editorial. The 61-year-old Chinese thinker and dissident died of liver cancer under guard in a hospital last week, after authorities refused to let him go abroad for treatment. “The only other Nobel Peace Prize laureate to die in custody was imprisoned by Nazi Germany.” Liu had spent much of the past three decades in Chinese prisons. He was first detained in 1989, for his part in the pro-democracy Tiananmen Square protests. Liu’s final period of imprisonment began in 2008, when he was locked up for his role in writing the Charter 08 manifesto, which “called for such dangerous innovations as free speech, freedom of religion, an independent judiciary, and democratic elections.” After Liu was awarded the Nobel in 2010, the government in Beijing blocked Chinese internet users from searching for his name or the word “Nobel.” The regime remains so afraid of Liu’s “words, his ideas, and his hope” that following his death, it even had his body cremated and his ashes scattered at sea, depriving his supporters of a memorial site.